Comments Energy healers often associate Emerald for the heart chakra! Emeralds are said to strengthen the physical body and Soothe emotions! Also used to enhance communication skills! 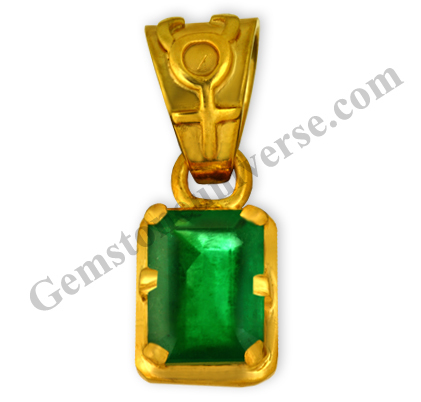 This Natural and unenhanced Brazil Emerald is making a potent Mercury talisman set in this 22k hallmarked Gold pendant! Amazing and fertile Sattvik energies and potent Jyotish powers!